This tutorial is part of the "How I Made" series, written by designers in the Shapeways community to share their unique perspectives, design processes, tips, tricks, and tools. You know me as Shapeways community manager but I'm also a jeweler by trade. A few weeks ago, I was asked to make a very special commission - an engagement ring. My friend Dan was ready to propose to his girlfriend Samantha and he wanted a custom design that was unique, like her. 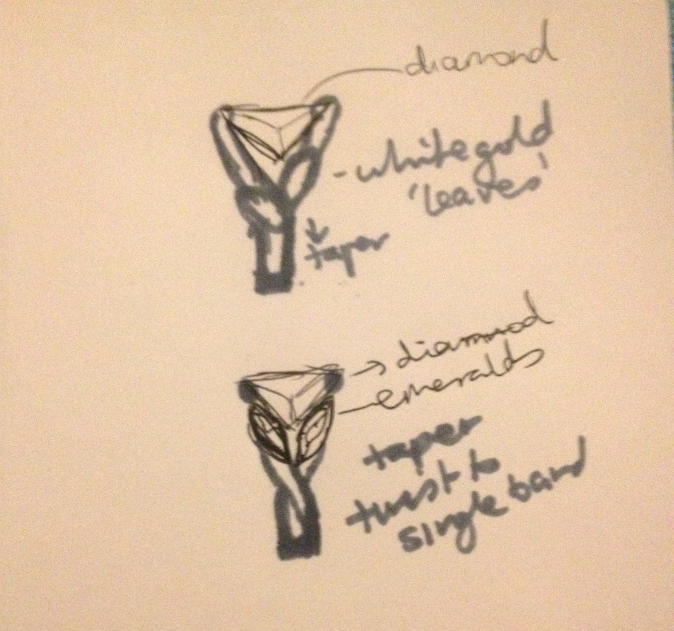 Since she loves nature, we sketched up a very organic design of twisted flowing vines and leaves that would hold a marquise cut diamond and two emeralds. Design in hand, I went to my studio to carve the wax model. Three days later, my bench was covered in wax shavings and broken rings, with no salvageable wax model. It was hopeless, there was no way I could carve the intricate design by hand. Then I had a eureka moment - I could use 3D printed casting wax! I sat down at my computer, fired up Rhino and 3D modeled the basic design in a few hours. 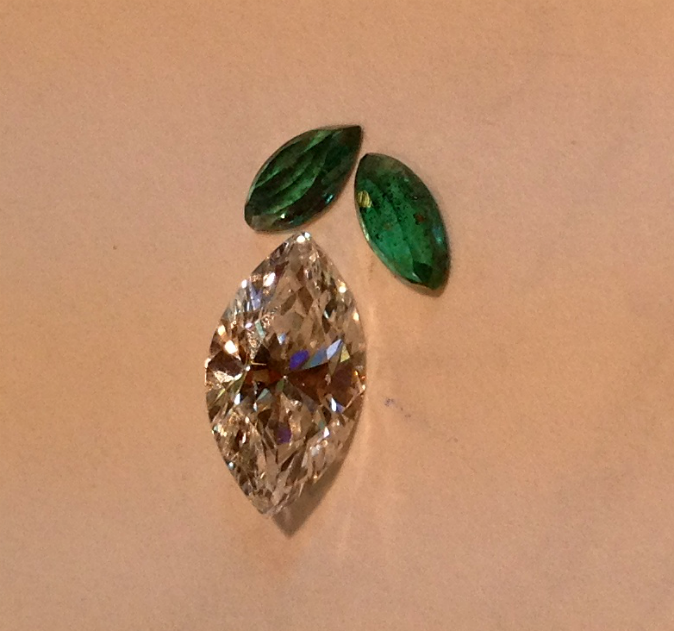 I worked with my setter, John, who used GemTech to add the stone settings, using the exact dimensions of the stones. Now I had the STL file to send to Shapeways. Dan wanted the ring in a metal that Shapeways doesn’t offer, like Unobtainium (ok, it was actually 18K White Gold), so I ordered it in wax. Once I received the wax model, I put some finishing touches on it and checked it for fit. 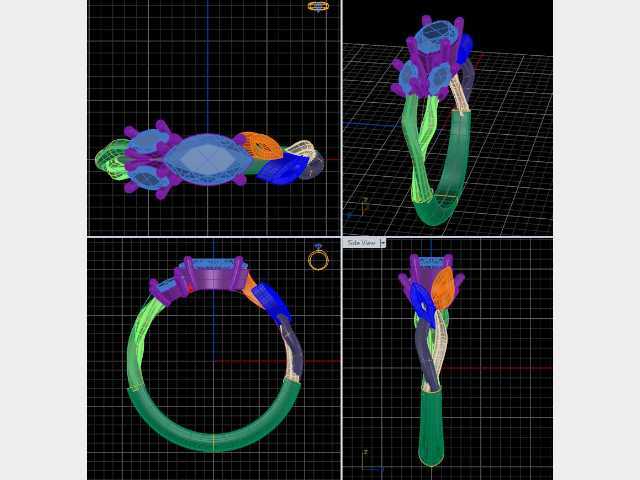 Then I brought it to a lost-wax casting specialist in the Diamond District in New York City, who cast the wax into a 18K White Gold ring, using the lost-wax casting method. Back at the studio, I cleaned and polished the gold ring, added my hallmarks, and took it back to John to set the stones. I bought a box, and delivered the ring to Dan. 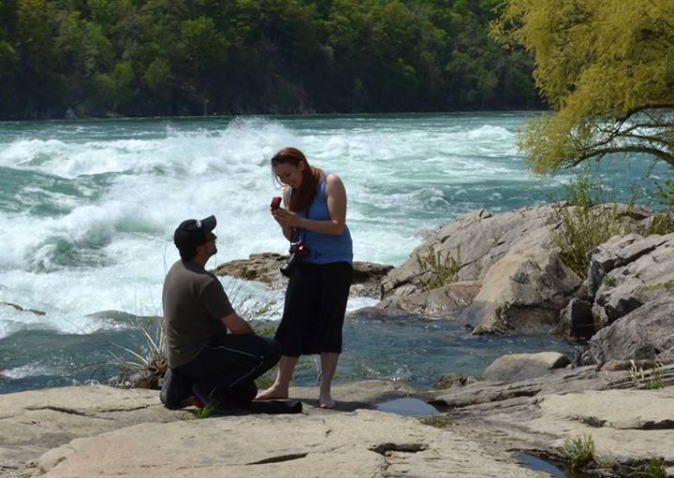 Two weeks later, he proposed on a photography trip upstate. I'm looking forward to seeing all of your creations - wax on, cast off. 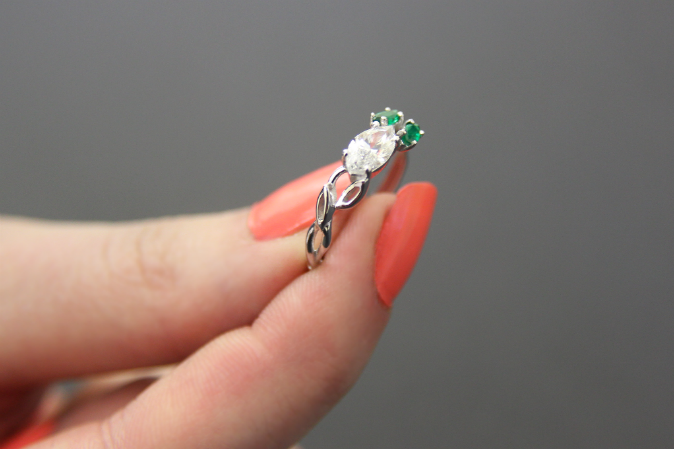 Did you enjoy learning about how Nat created this custom engagement ring using a wax model? Let us know what else you'd like to see and learn from your fellow community members or inspire others with your own "How I Made" tutorial by reaching out at education@shapeways.com!